Just One W.I.P: It's got to be seamless. It's got to be seamless. I was talking to a lovely friend and her Mum at school today and I mentioned with my current non-existent voice (laryngitis I suspect) that I was meant to be teaching a beginners knitting class this weekend at Holland Road Yarn Company. Anywho, her mother mentioned my friend used to knit, but the discussion evolved into how they could never be bothered sewing things up at the end. Who can? 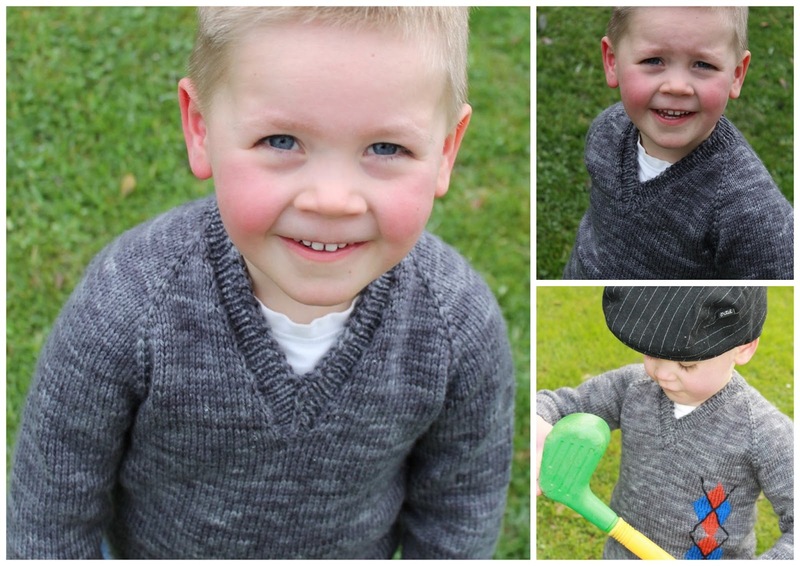 I showed them right then and there the Greyson sweater my youngest was wearing and how these days, many people design and knit only seamless items. That there's no front, back, arms to sew together. Sheer brilliance. It was this Greyson sweater to be precise! I really think this is why knitting is so popular these days. I would never be bothered to knit my kids garments if I had to sew pieces up at the end! I know I can knit nicely, but sew? No. I do recall trying to patchwork together pieces of my first adult garment years and years ago, and trying to sew it so that everything matched up well enough. 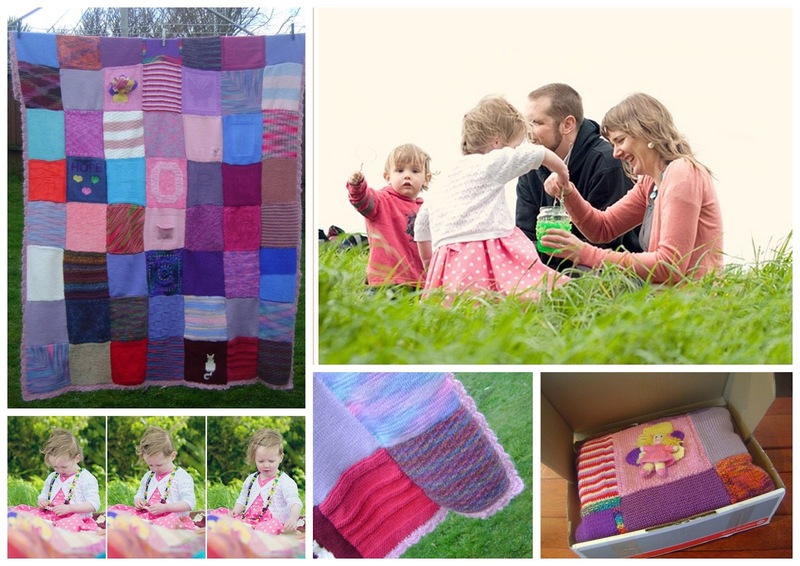 I remember vividly trying to sew together this blanket for a beautiful friend of mine who's most precious daughter Hope was diagnosed with terminal cancer...and whilst I did my absolute best at the time, I still grimace at the less than perfect sewing and piecing together. No, there would be so many knitting bags with many more WIP's if the huge range of seamless patterns didn't now exist. Seamless all the way! How wonderful are the fabulous ranges of circular needles these days, that we can just change tips and cable lengths to suit our projects. That we can just knit and virtually pop a garment on our children as soon as we cast off, or try it on numerous times whilst still knitting to get the length just perfect. All hail to the wonderful seamless designers out there. I actually thought back to why I picked up my needles again after my first child was born - my next post I'm going to show you some oldest circular knitting and the patterns that got me hooked again. Be prepared for less than perfection! And imagine prickly yarn....(which I called wool then, because I called everything I knitted with wool then!) and birch needles with their terrible bumpy joins! Do you ever sew items that need seaming? Why? What kind of garments? I know I definitely shy away from any patterns now that need seaming. Absolutely love the range of seamless top down patterns that are now available. I love seamless but I don't mind seamed either (yes I am a strange breed!) I crochet my seamed knits together and it goes quite quickly. I'm ok with either and find seamed quite good if there's a lot of cabling involved as it helps stabilise the finished item. Mind you I also hand-sew for a living. I'm totally all for the seamless! Nope, I don't think I do. Even a shoulder from the bottom up is joined with a three needle bind off. I would rewrite a seamed pattern if it came in pieces ... That said - apparently seams are good in some situations. I think I avoid those situations. I love seamless knits too but I don't let it put me off a pattern. There are some really neat techniques out there for seaming and some styles you can't get without the seaming. Don't get me wrong especially for basics for the kids I love knitting seamlessly, but then I can't go past some patterns that are just gorgeous so I will seam if need be. That said I will grumble and moan about it as well, lol. I haven't knitted much lately, but I do still adore the stitch markers. I think I'll be starting a pair of mittens sometime in the near future. I'll enjoy using them then. I'm so happy to have found you again.